This mason jar would make a perfect gift for any lady in your life. The design features a simple circular mandela design with her name engraved inside with the phrase 'you're beautiful'. 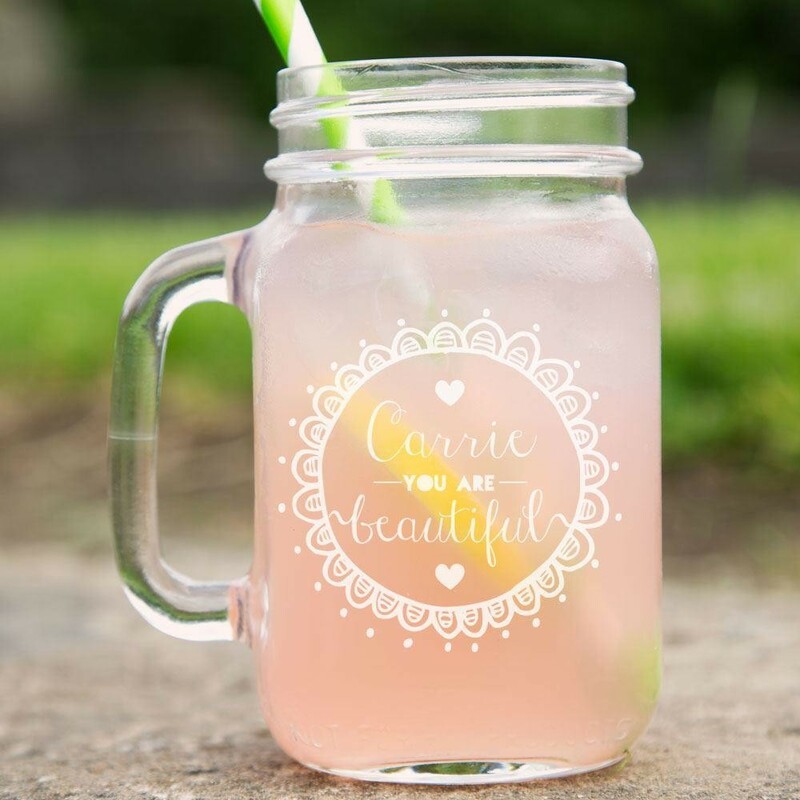 A gift that will melt her heart and she can treasure every time she has a drink. 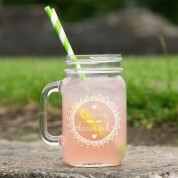 The jar is made from glass, with a sturdy handle and can hold 16.5 oz (approx 470ml) of your chosen beverage. Dimensions: 13cm tall x 8cm with a 8 x 3cm handle. Mason Jar Weight: approx 408 grams. 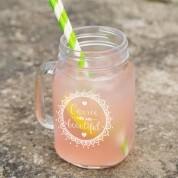 Please note this mason glass is not suitable for preserving food or hot drinks.